I know I’m not the only one to weep about dirty grout. 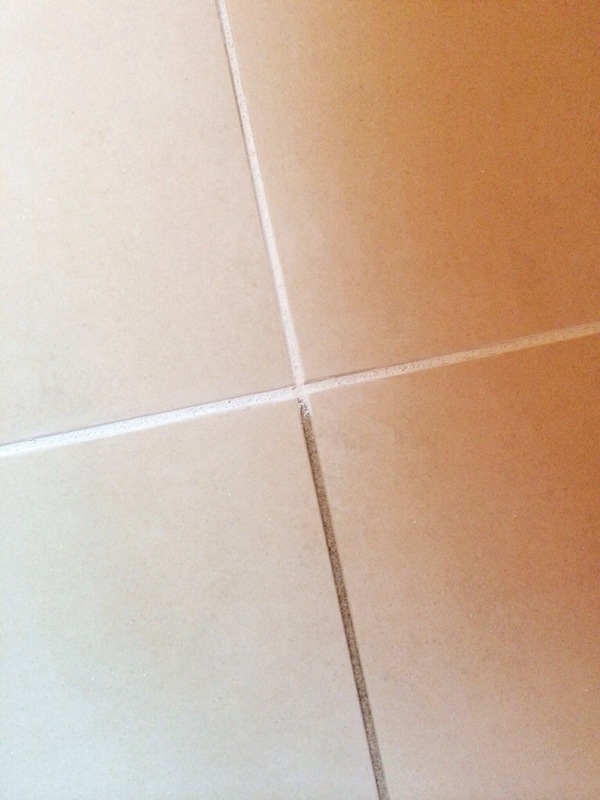 Grout that, no matter what any website says, you just CANNOT get clean. 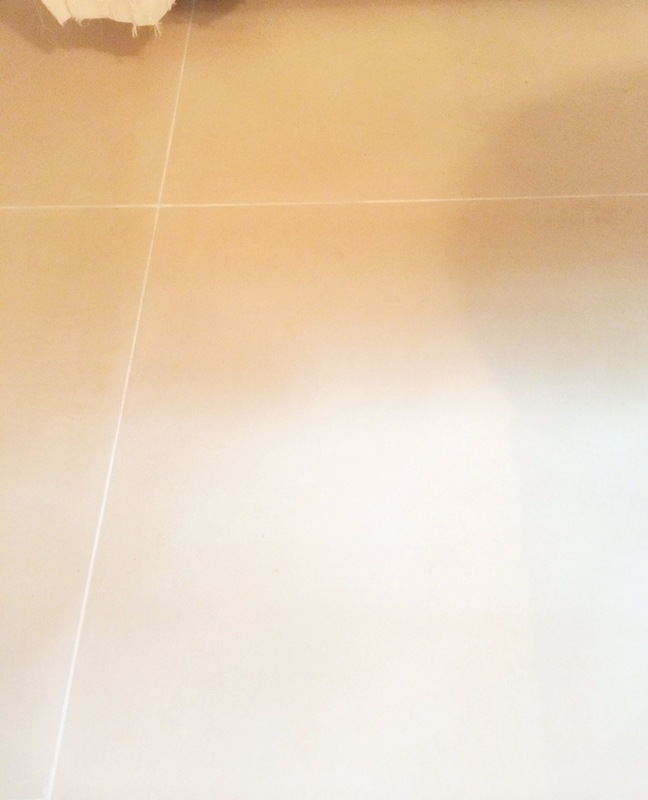 I have tried tirelessly to clean my bathroom grout with home remedies and professional strength chemicals that promise sparkling clean grout. None of it works. So, I quit. I moved on to greener pastures, folks. 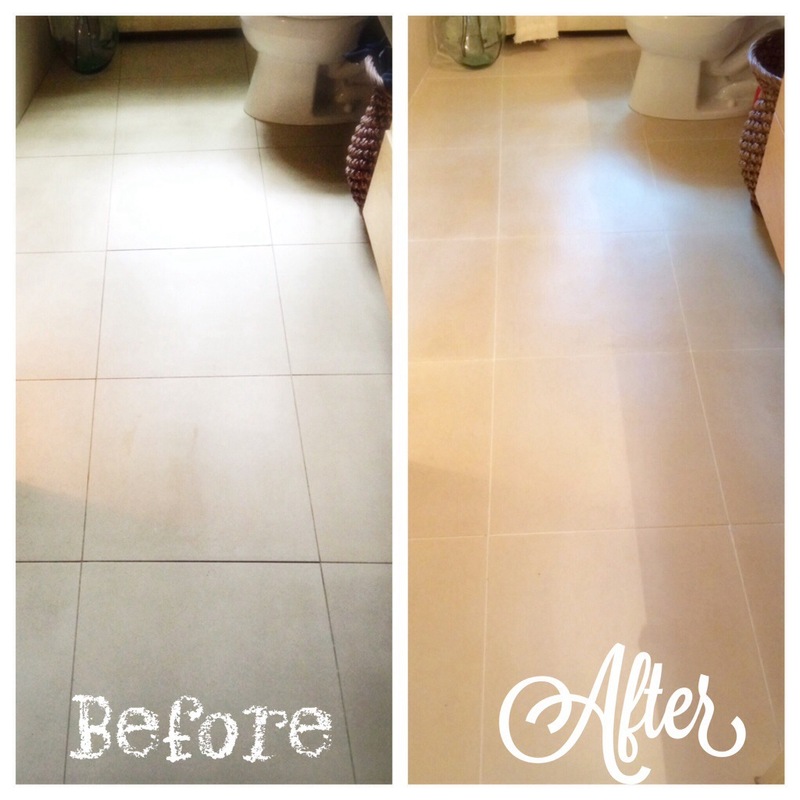 Instead of spending hours on your hands and knees trying to scrub a 12 inch line of grout clean- I instead spent 2 hours making my entire bathroom floor grout SPARKING white! And for only $15 and minimal elbow grease. Are you wondering yet how my bathroom went through such a transformation with really, truly minimal effort? The answer is Grout Refresh! I found it on Amazon.com, made good use of my Prime membership and had it in my mailbox in 2 days. It’s paint for your grout. It comes in a pretty substantial collection of colors and it’s so easy to use! Hands down, 100% worth an afternoon of your day off to do. 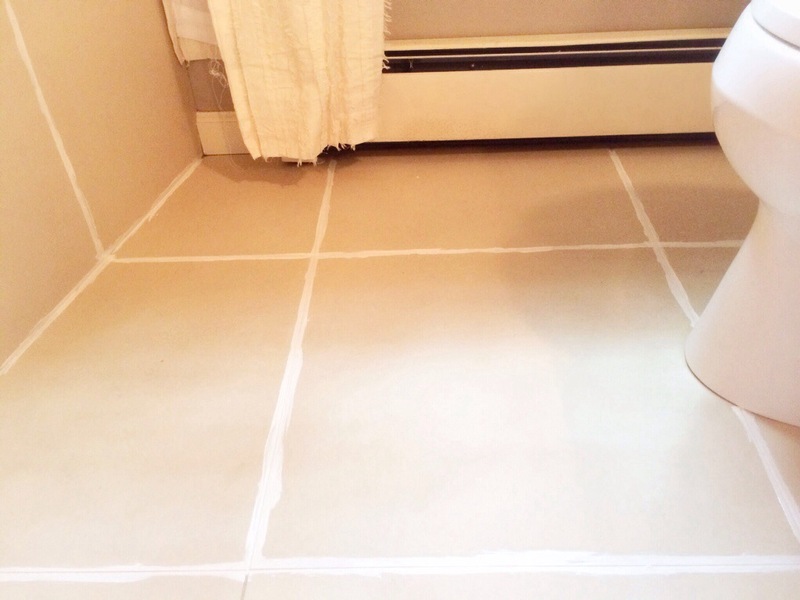 Wait about 30 minutes and then use a damp rag to wipe it off of the tiles. The instructions say mist the floor then wipe up but I found when you do that it takes some of the paint off the grout. I preferred using a damp rag wrapped around my finger to more precisely get it off of the tiles. Posted in Home Sweet HomeTagged clean grout, DIY, grout, grout paint, grout refresh, home repairBookmark the permalink. No Bones About It…Dogs are da Bomb!